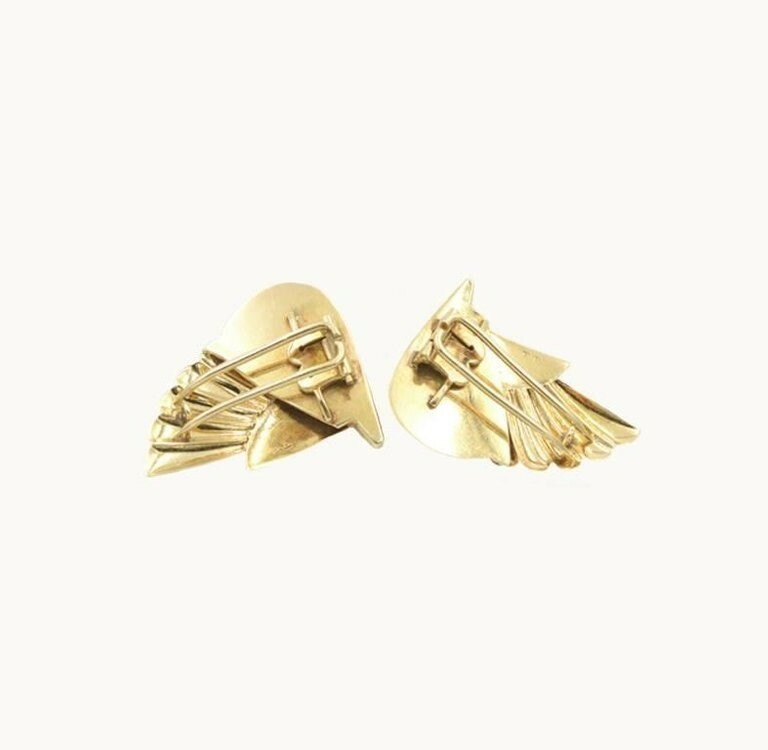 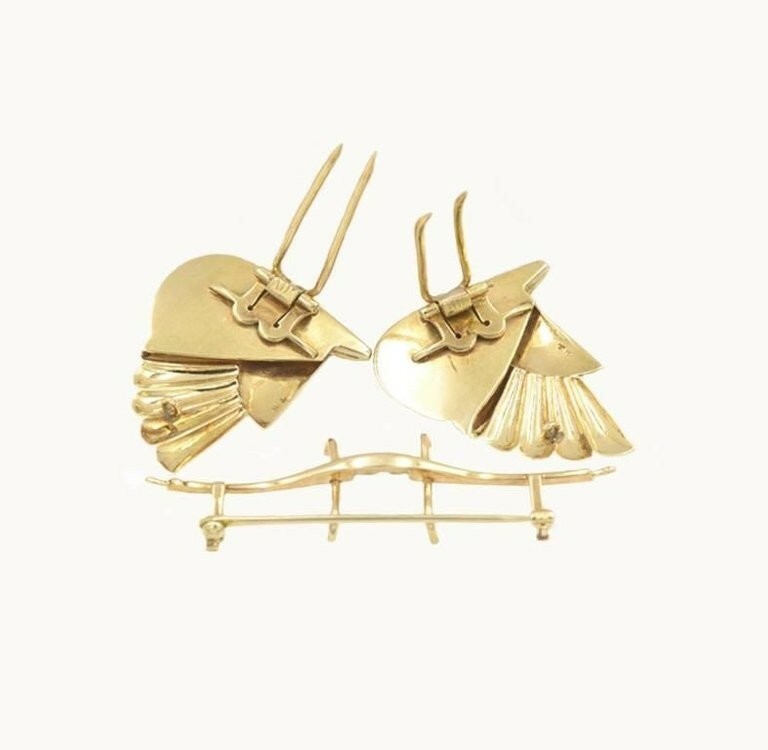 Krementz double clip brooch in a wing design in 14 karat yellow gold from circa 1940. 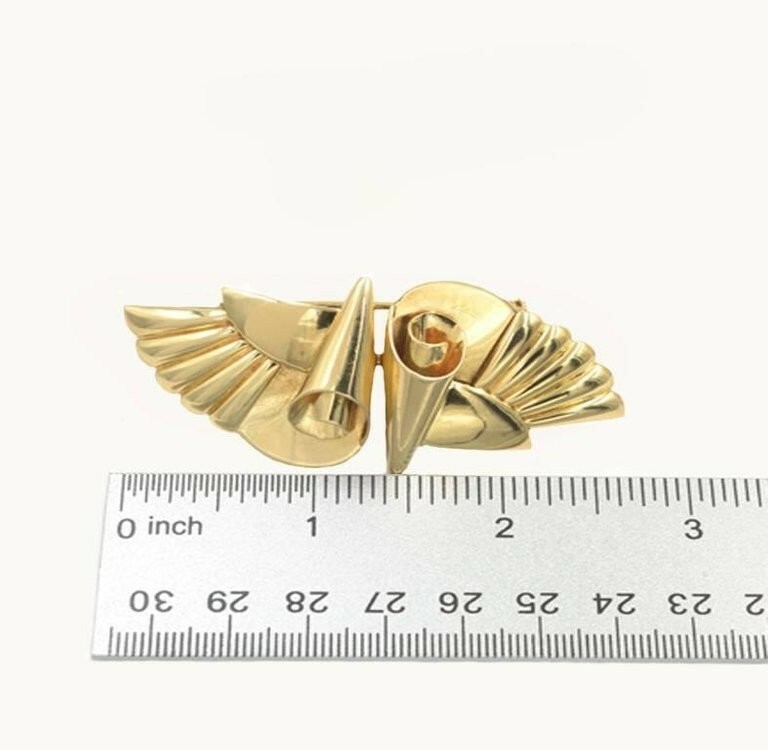 Awesome retro clips that look great on both men and women. 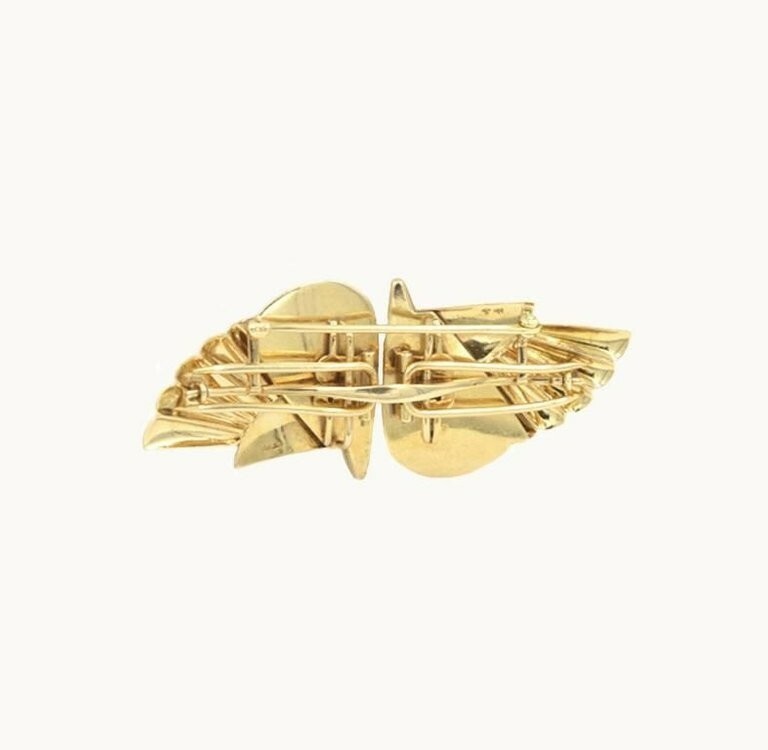 This brooch measures approximately 2.83 inches in length, 1.26 inches in width, and 0.65 inches in depth.